As a New Yorker, a brunch date with your girlfriends is a weekend must. A boozy brunch date with your girlfriends is even better. On Saturday afternoon, I ventured out to Brooklyn (truly the “New Manhattan”) to the lovely neighborhood of Fort Greene to dine in celebration with well wishes to our friend Kristin before her big move to Australia with her wonderful boyfriend. 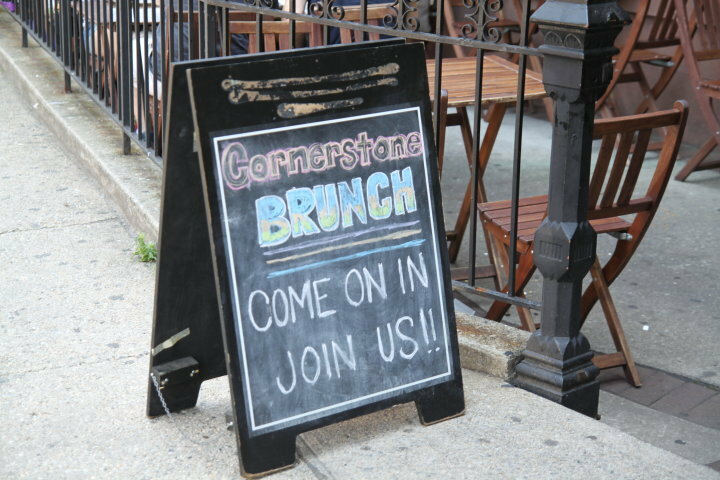 The Cornerstone is an adorable restaurant offering brunch from 10am - 4pm on weekends, featuring unlimited mimosas and bloody marys for $25 with your meal. Unlimited booze during brunch can lead to a long afternoon turned into a long evening of drinking. And how can that be a bad thing? Most of us ordered the Apple Chicken Sausage with eggs, home fries, spinach, and toast. The meal was delicious and the never ending pitchers of mimosas were refreshing and strong. The Chicken and Waffles have been rated as one of the Best in Brooklyn, so this is a must for my next visit! There was live music, which is another plus in my book (unless you arrive to brunch with a hangover, then any additional noises can be unbearable). 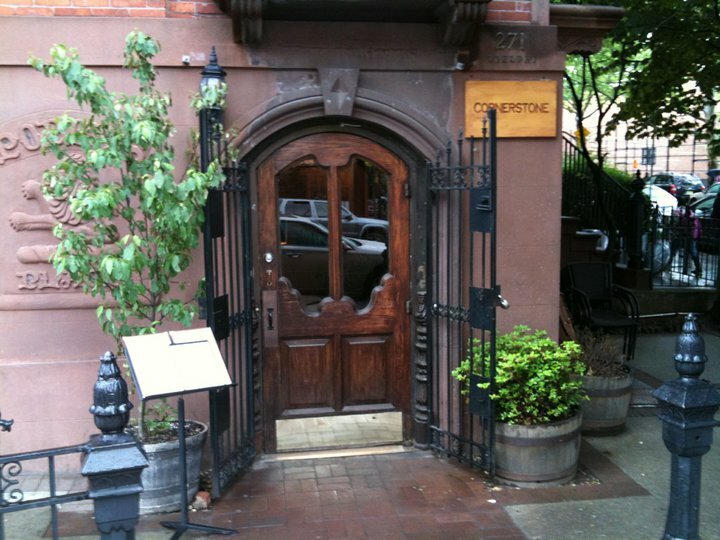 Cornerstone is dedicated to supporting small farms and sustainable agriculture. They cook with fresh produce, which is delivered daily and choose Organic products whenever possible. All of their meats and poultry are hormone-free and antibiotic-free. Their seafood is always wild and never farmed. 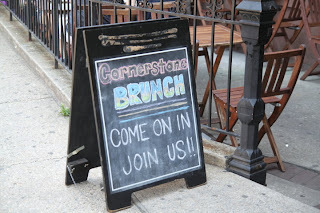 well I've never brunched in Brooklyn but this spot would be my first choice! 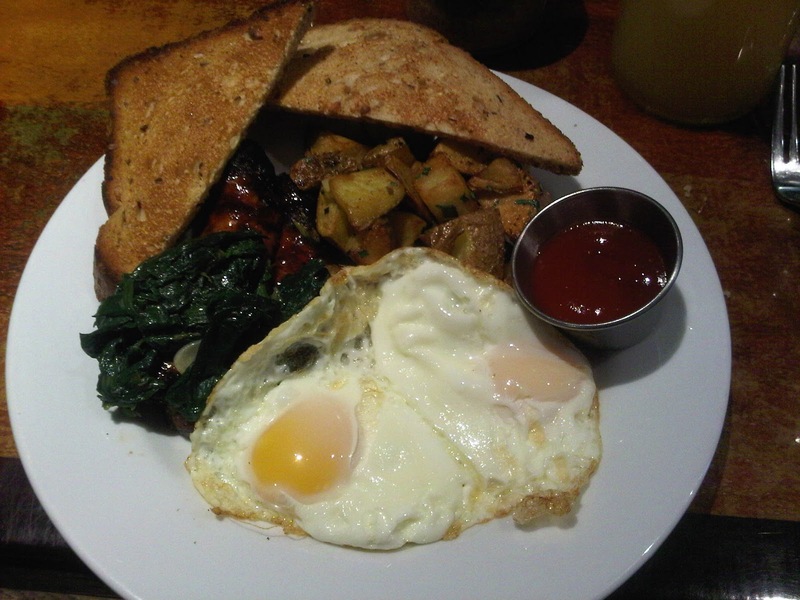 those eggs look like perfect hangover fuel! what a GREAT find! I love places like this. And if I can afford it, and can tolerate the subway on the weekend: I head to Stanton Social in LES. Love love love the small plates to share for brunch. I love that they support small farms & use organic products in their recipes. I'd be interested in trying the chicken with waffles, sounds delish!